Tokyo has a surprising number of parks and gardens. This itinerary is carefully crafted to allow you to visit the best of them in one day. This itinerary covers five parks and gardens located on the west side of Tokyo in Shinjuku, Harajuku and Meguro. This itinerary can be done in one long day (but you can also spread it across two days if you want to move at a leisurely pace). Start your day with a stroll in the superb and expansive Shinjuku Gyoen Garden. It's easily accessed from Shinjuku by either the Marunouchi subway line or the JR Chuo Line. Head back to Shinjuku and then take the JR Yamanote Line two stops south to Harajuku. Here, cross the bridge and enter the woods surrounding the impressive Meiji-jingu Shrine. Eat lunch in one of the many restaurants in Harajuku. See my Harajuku Places to Eat section for details. Walk east on Omotesando all the way to the Nezu Museum (consider a taxi if it's hot or rainy or you're tired). The museum itself is great, but the real highlight is the superb garden out back (entry to the garden is included in admission to the museum). This is my favorite garden in Tokyo. Don't miss it! If you're still got energy left, walk west from the Institute for Nature Study and enter the Tokyo Metropolitan Teian Art Museum, which is right next door. This wonderful Art Deco building plays host to various interesting art exhibitions and it's surrounded by a fine stroll garden. By dropping Shinjuku Gyoen Garden, you reduce the number of subway/train rides you must take to complete this itinerary. This also cuts out at least one hour from the itinerary and makes it more relaxing. I don't recommend this itinerary on rainy or extremely hot days. Be sure to wear comfortable shoes when you do this itinerary. 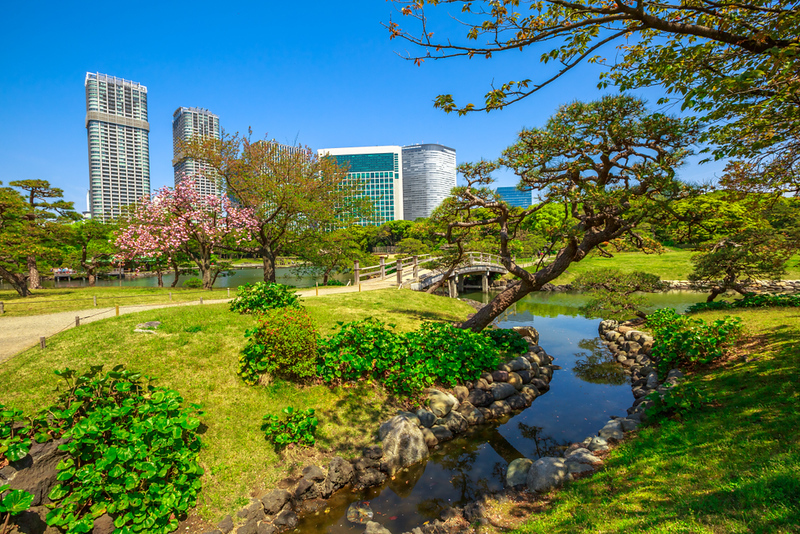 Other places to consider for a visit are Hama Rikyu Gardens (Shiodome), the Imperial Palace East Garden (Imperial Palace Area) and Koishikawa Korakuen Garden (Imperial Palace Area).